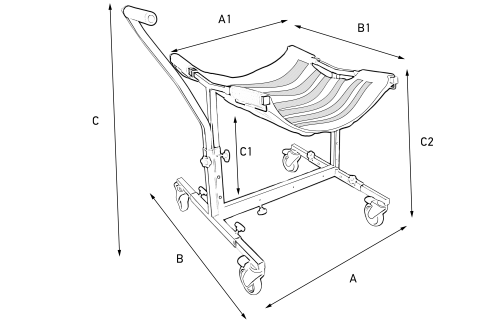 The height adjustment – thanks to this function the caregiver does not need to lean over the patient, so there is no risk of overstraining the spine. Additionally, the access to the patient is easier, which helps in conducting the therapy. The width adjustment – allows using BodyMap® R+cushion of various sizes, dedicated for small children as well as the larger ones. The track width adjustment – thanks to the possibility of the track width adjustment, using a larger size cushion does not cause the loss of stability of the base. 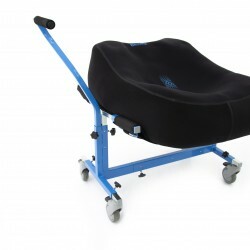 The upholstery length adjustment – you can adjust the dimensions of the base to the size of the cushion used. The Velcro belts system used in the base makes it possible to change the dimensions of the upholstery together with the dimensions of the base – their width and length and the strain level of the upholstery. The push handle adjustment – makes it easier to maneuver the base. 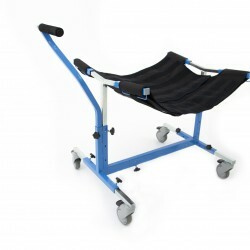 All the abovementioned possibilities make the mobile base an extremely universal device, dedicated to the ‘bean bag’ cushions of various sizes. 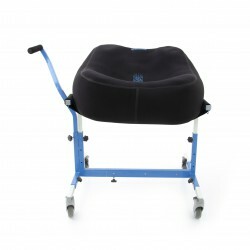 The base is equipped with a removable and adjustable push handle. 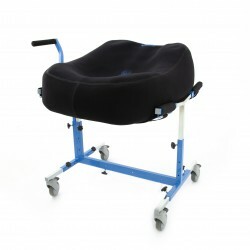 It also has four quiet swivel wheels with a brake which allow the BodyMap® R+ cushion to be transported together with the patient around home or rehabilitation center. Thanks to the wide Velcro belts system, the BodyMap® R+ cushion is firmly attached to the base upholstery, ensuring the safety of use. 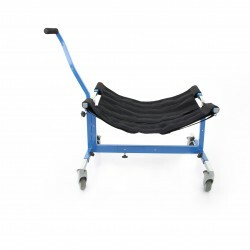 All materials used guarantee safety and durability of the base. 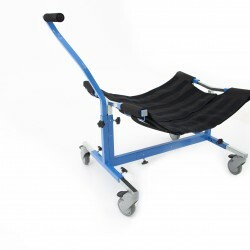 The solid basis, which has a high level of endurance and tensile strength, can be used by patients weighing up to 50 kg.